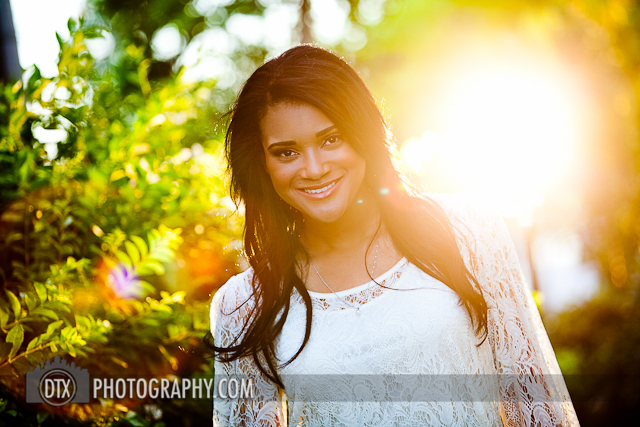 I had a dallas lifestyle photography shoot with Jessica and it was a lot of fun. Jessica is really pretty and a natural in front of the camera. 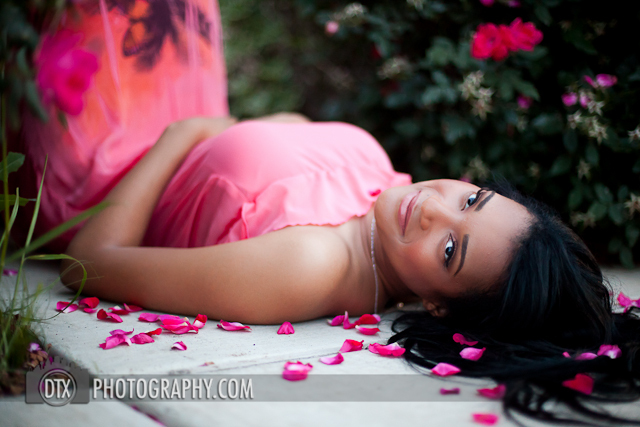 We headed over to Savannah for her lifestyle photography session. We found a pretty green area between a couple model homes. 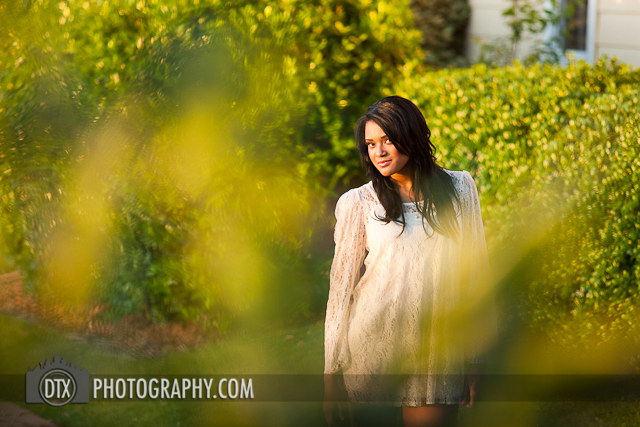 This gave us a nice nature look for the dallas lifestyle photographs. Jessica wanted a glamour / fashion look to her photos. I set up a light behind her for this shot with an orange gel. 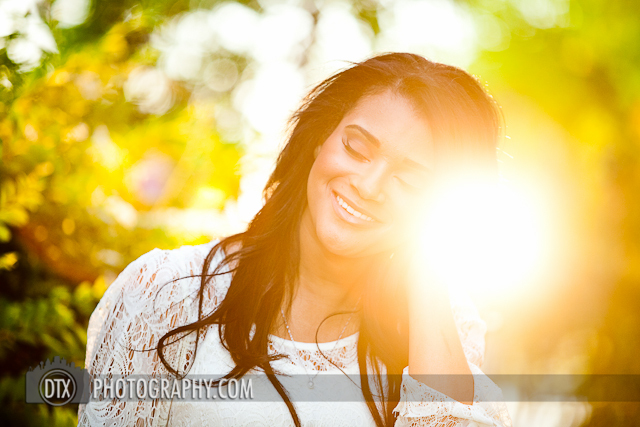 This simulates what looks like a sun flare, perfect for a dallas lifestyle photography shoot. In fact, you may have thought it was the sun had I not told you!! As the sun was going down, Jessica and dallas lifestyle photographer Jonny found a nice model home with some roses that matched her pink dress. We added the touch of rose petals to the photo. Back to the photography studio Jessica had some inspiration from an Angelina Jolie shoot. 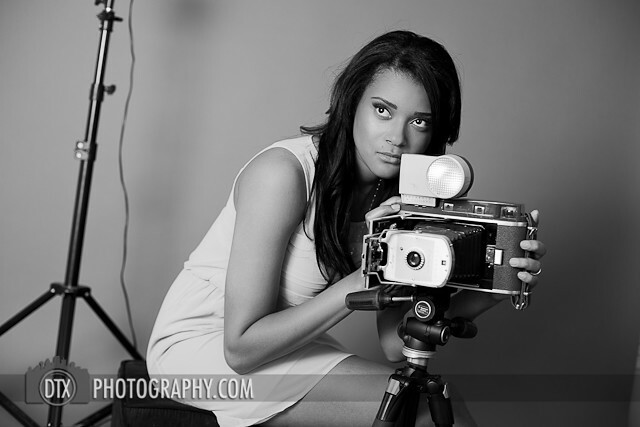 We did something similar with a vintage camera of my grandfathers. 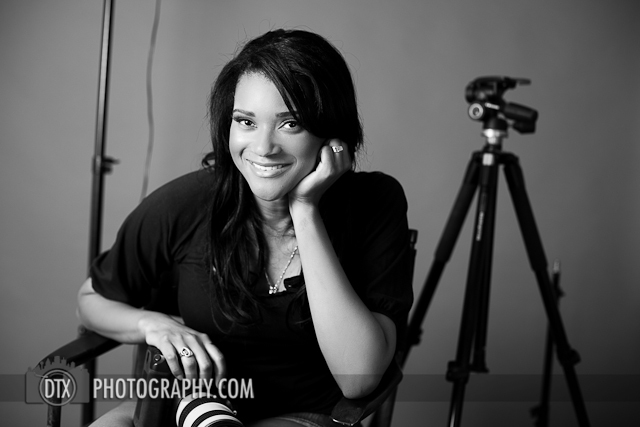 I had a great shoot with Jessica. 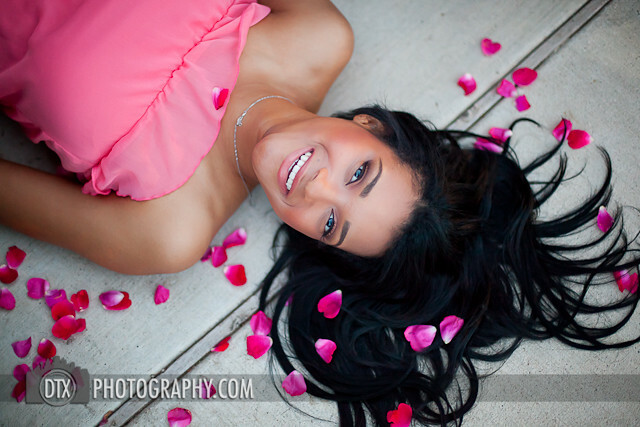 She was so pretty and easy to work with.